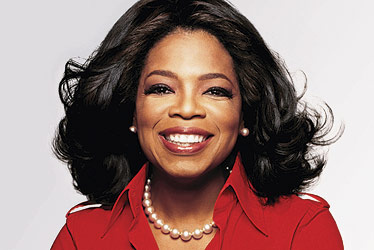 IgniMagnus: Why Oprah Winfrey's speech could be dangerous advice. Why Oprah Winfrey's speech could be dangerous advice. Although she inspires people she is really vague in how you should achieve that. She uses big fluffy words like: dream, energy, ext..
People like to dream. Maybe even the American dream. It sounds like Deepak Chopra and his big words that hold no ground in science at all. "You’re responsible for the energy you put out into the world.” she said. But what does that mean? Energy is a metaphor and not a physical thing in the real world. Although I do believe that following your bliss or as she said it "The magic is to surrender to God’s dream for you" that doesn't mean that it's going to be easy once you know what it is. It most likely means that you are going to face more difficult choices and challenges in your life. So I want you to be prepared instead of being with your head in the clouds. The concept of returning energy that you put in the world or what people think is karma doesn't repay you equally for what you did. The universe is chaotic and random, what doesn't mean that there can't be kindness. To think that karma is justice is an injustice to karma. The web trembles as you move it does not care why you move. She seems to give the impression that it's all in your hands but it often depends on where you start too. It depends on the privileges you have to start with and the people around you, your social network. Here the Matheus effect is good to remember: Those who already have much find it easier to accumulate even more but those who have little will be taken more resources from (or are less protected against it). People who have much (or have more privileges) find it easier also to ask for favors from others but those who have little often don't find the courage to ask for help. 1. Remember that this is a non-linear world. 4. Calculate unexpected setbacks in your plan. 5. Start with a "good enough" plan. 7. Learn what feedback is useful and what is not. 8. Be willing to change your plan if necessary. 9. Create habits instead of relying on willpower. 10? Ok 10. Be suspicious of advice of so called "experts" or celebrities. Of course I am not expert myself. But anyway, don't take my word.